The enthusiastic community which surrounds the jailbreaking scene is thriving, there can be no doubt about that fact. Even though the cat and mouse game with Apple is becoming more and more difficult with every iOS release, the evidence which points to the popularity of jailbreaking is there for all to see. There are multiple reasons why people want to jailbreak their devices, which I won’t cover in its entirety in this post for the fear of detracting from the actual topic, but some of them include having the option of additional features, breaking Apple’s hold over your device as well as adding a tint of modification and extensive theming. One of the benefits of owning a smartphone device is having the internet at your fingertips, and Apple’s iPhone and iPad does not disappoint when it comes to web browsing. The native mobile Safari browser offers a rich, engaging surfing experience. As you might expect, the mobile version is a significantly stripped down version of the desktop browser, but some of the key functionality is undoubtedly missing on iOS. One of the major benefits of having a jailbroken device is the freedom it gives you to enhance existing applications by downloading tweaks and utilities released through the Cydia store. A new tweak, by developer Josh Kuglemann aims to dramatically enhance the user experience of the mobile Safari browser. 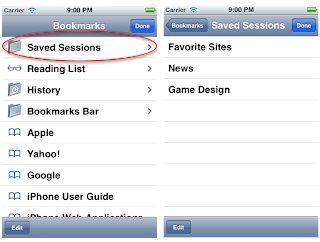 SessionFiend brings session management functionality to mobile Safari, by offering two core additions. SessionFiend allows you to save a group of tabs for reading and viewing at a later date along with the ability to open up a group of tabs at a given time. One of the features enjoyed by desktop users is being able to set a number of websites to open up in tabs when the browser is launched. Unfortunately this feature is generally stripped away for mobile versions, but SessionFiend has brought it back. The tweak also integrates extremely well into Safari’s bookmark list, giving it a native look and feel. 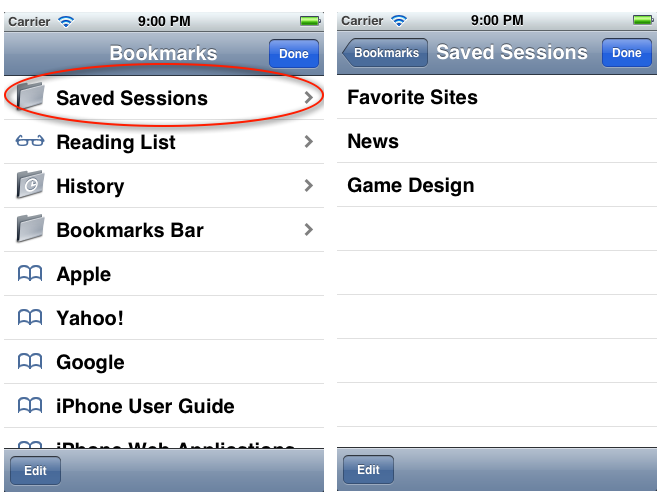 Options and sessions can be configured from the application’s bookmarks panel. SessionFiend is available now at an introductory price of $1.00 (rising to $1.50) on the Big Boss repository. The tweak works on the iPhone and iPad, but is only compatible with iOS 5.